FBI Director Chris Wray revealed on Wednesday that the bureau has 1,000 investigations open into groups aligned with radical Islamist ideology, and 1,000 investigations open into domestic terrorist groups, per a report from Newsweek. One more thing: Senator Claire McCaskill voiced concern about the low number of hearings regarding domestic terrorism compared to the hearings regarding ISIS, Newsweek notes. 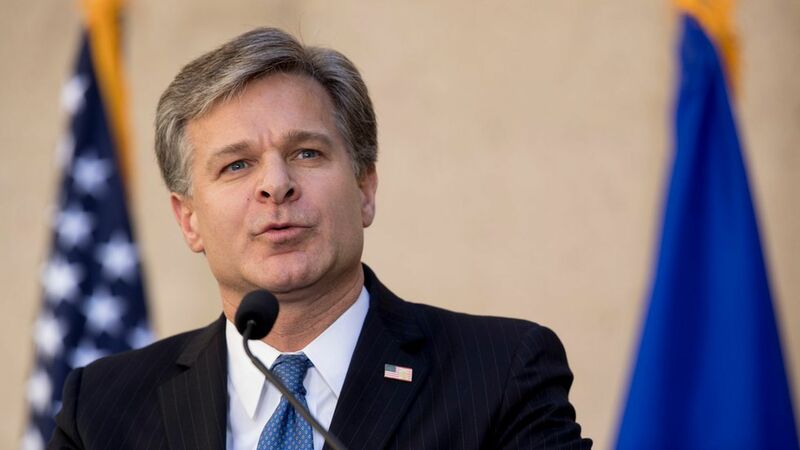 Wray said that both threats are taken "very, very seriously," per a Hill report, and the focus is "violence and threats of violence agains the people of this country...not ideology."